Can I use MySCSU to login to SouthernSearch? - Ask Us! Q. Can I use MySCSU to login to SouthernSearch? Yes! When you are in SouthernSearch and click the Sign In links, you will log in via MySCSU/Sailpoint. You can also add SouthernSearch to your MySCSU/Sailpoint Launchpad. Click the Request Center tab at the top of the page. Go back to the LaunchPad (tab at the top of the page) and you'll see the app. 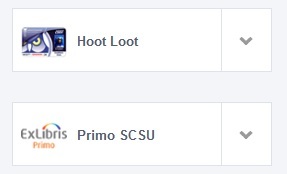 Click to go directly to SouthernSearch--if you are asked to login, just click SCSU Login and you are all set!